A useful piece of kit for Africa, protect your socks and ankles with short suede gaiters. Tough and light, they are great for walking safaris, hikes, & the trek to your favourite fishing spot. 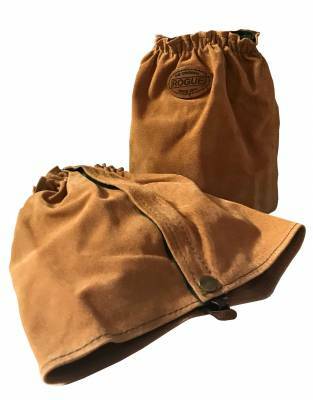 A useful piece of kit for Africa, protect your socks and ankles with short suede gaiters. Tough and light, they are great for walking safaris, hikes, and the trek to your favourite fishing spot. 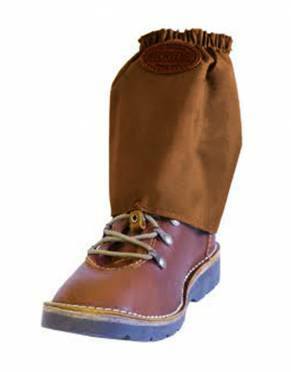 Designed to be worn over the shoe and lower pant leg, these gaiters protect your legs when walking or hiking outdoors in dense underbrush. Gaiters also aid in protecting your ankles from tick bites and blackjacks while on a walking safari. Made from suede, these gaiters boast natural styling for the serious outdoorsman and woman, with a nap texture which will age well for many years of adventure. ⊙ CARE INSTRUCTIONS FOR LEATHER: Leather is a natural product. It contains oils that, if exposed to continuous wet and dry conditions, will leach and cause the leather to die and crack. Please re-oil or treat with a leather food or leather wax. Allow to dry naturally; not near a fire or heater.